Renamed in honour of the founder of the Round Table Movement. Extensive alterations in 1970's to make one bar serving distinct front and rear areas. Fine vaulted cellars dating from 15th C.
Rear of building dates from 1700 with exposed beams and large open brick fireplace. 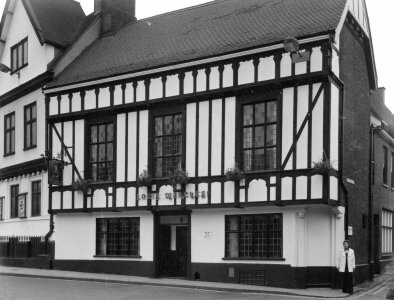 Front of building is believed to be earlier but covered by an early 20th C false timbered facade. Comfortable modernised city pub retaining some original features.